Neptune is one happy alpaca. He dances with delight when he sees the feed bucket and loves to eat from your hand. He is also the most tolerant at being touched. Jupiter has gone from being shy and aloof to cheeky and very confident. He adores to be hand fed and is highly inquisitive. He is definitely the leader of the group! Venus is quietly confident and a terrific mum to Mars. She has not quite reached the stage of taking feed from our hands but is happy to feed from a bucket whilst we are close by. She is the matriarch of the group (since her mum Saturn died in June 2017). Mercury and Pluto are siblings, sadly their mum Saturn died when Pluto was just four days old and whilst she was unable to feed him, Mercury took on the role of 'mum' in every other way. Her new responsibility has given her a lot of confidence. Neptune and Jupiter were bought as 'flock guards' and back in Cornwall, did a fabulous job of keeping the fox away from our poultry! We bought Saturn, Venus and Mercury when we moved to Cadbury Cottage as alpacas are best kept in threes or more and now we had the space. Saturn and Venus were pregnant and in June 2017, gave birth to Pluto and Mars respectively. Sadly, Saturn died when Pluto was four days old, leaving us with a very sad cria to bottle feed. If we get any foxes or badgers here we know that the alpaca guarding duties will work for us again, and not just for the birds. Alpacas will happily guard all other animals on their land, so we know our lambs and kids should be safe too. 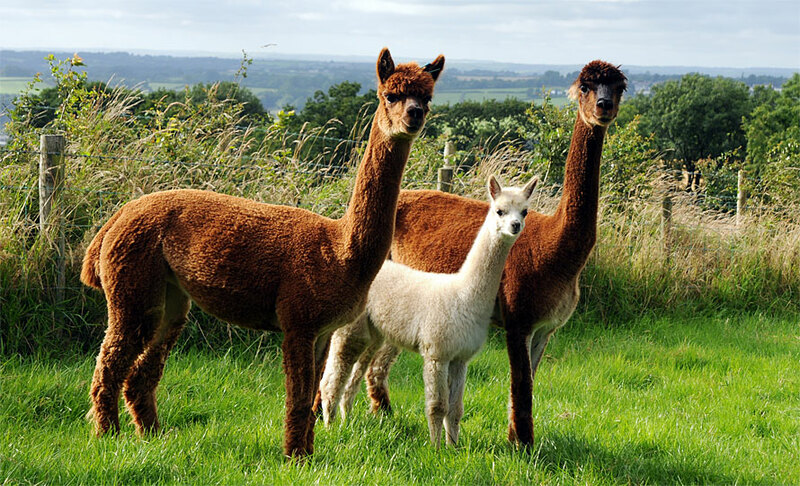 We call them our 'Smallholding Custodians' as whenever an animal is born or brought onto our land, the alpacas 'meet and greet' and accept the newcomer as part of their flock! After shearing we will sell the fibre for weaving and felting!